Aruna, S. & Santhi, P. (2015). Impulse purchase behaviour among Gen Y. IUP Journal of Marketing Management, Vol. 14 (1). Ainslie, G. (1975). Specious reward: A behavioural theory of impulsiveness and impulse control. Psychological Bulletin 82. Babin, B.J. and Attaway, J.S. (2000). Atmospheric affect as a tool for creating value and gaining share of customer, Journal of Business Research, Vol. 49(2). Backstrom, K. (2006). Understanding Recreational Shopping: A new Approach. International Review of Retail, Distribution and Customer Research, Vol. 16(2). Baumeister, R., Bratslavsky, E., Muraven, M. & Tice, D. (1998). Ego depletion: Is the active self a limited resource. Journal of Personality & Social Psychology, Vol.74 (5). Baumeister, R.F. & Vohs, K.D. (2004). Handbook of Self Regulation: Research, Theory and Applications. Guilford Press, New York. Bayley, G. & Nancarrow, C. (1998). Impulse purchasing: a qualitative exploration of the phenomenon. Qualitative Market Research: An International Journal. Vol. 1(2). Belk, R.W. (1988). Possessions and the Extended Self. Journal of Consumer Research, Vol.15 (2). Biyani, K., (2005). It Happened in India. New Delhi, Rupa & Co.
Buttner, Olive. B., Anja F. & Goritz, S. (2015). How shopping orientation influences the effectiveness of monetary Promotions. European Journal of Marketing, Vol. 49. Cobb, C. J. & Hoyer, W.D. (1986). Planned versus impulse purchase behaviour. Journal of Retailing. Vol.62 (4). Crabtree, B.F. & Miller, W.L. (1992). Doing qualitative research, 2nd ed. California, Sage. Creswell, J.W. (1998). Qualitative inquiry and Research Design: Choosing Among Five Traditions. Thousand Oaks, CA, Sage. Daengbuppha, J., Hemmington, N. and Wilkes, K.(2006). Using grounded theory to model visitor experiences at heritage sites: methodological and practical issues. Qualitative Market Research: An International Journal, 9(4). Dholakia, U.M., Gopinath, M. & Bagozzi, R.(2005). The role of desire in sequential impulsive choices. Organizational Behaviour and human decision Processes. Vol.98 (2). Dittmar, H. (1992).The Social Psychology of Material Possessions: To Have is To Be, New York, Harvester Wheatsheaf, Hemel Hempstead and St Martin Press. Dittmar, H. (2005). Compulsive buying – a growing concern? An examination of gender, age, and endorsement of materialistic values as predictors. British Journal of Psychology, Vol. 96 (4). Douglas, D. (2003). Grounded Theories of Management. A Methodological Review, Vol.26 (5). Freud, S. (1911). Psycho-analytic notes on an autobiographical account of a case of paranoia. In standard edition, Vol. 12, London, Hogarth. Glaser, B.G (1978). Theoretical sensitivity: Advances in the methodology of grounded theory. Mill Valley, CA: Sociological Press. Glaser, B.G. & Strauss, A.L. (1967). The discovery of grounded theory: Strategies for qualitative research. New York, Aldine. Hirschman, E.C. & Holbrook, M.B. (1982). Hedonic consumption: emerging concepts, methods and propositions. Journal of Marketing. Vol.46 (3). Hoch, S.J. & Loewenstein, G.F. (1991). Time inconsistent preferences and consumer self-control. Journal of Consumer Research, vol.17 (4). Holbrook, M.B & Hirschman, E.C. (1982). The Experiential Aspects of Consumption: Consumer Fantasies, Feelings, and Fun. The Journal of Consumer Research, Vol. 9, No. 2 (Sep., 1982). Jones, M., Reynolds, K., Weun, S., & Beatty, S. (2003). The product specific nature of impulse buying tendency. Journal of Business Research, Vol. 56, 505-511. Kacen, J. & Lee, J.A. (2002). The influence of culture on consumer impulsive buying behaviour. Journal of Consumer Psychology,Vol. 12(2). Kalla, S.M. & Arora, A.P. (2011). Impulse buying: A literature review. Global Business Review, Vol. 12 (1). Kalla, S.M. & Goyal, A. (2010). Can search for happiness lead to impulse buying. 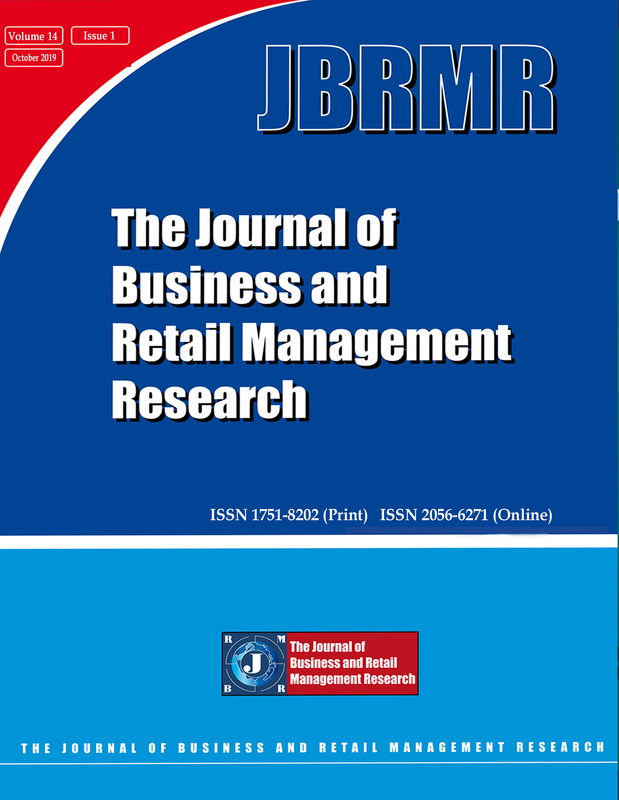 Journal of Business & Retail Management Research, Vol. 5 (1). Kaur, P. & Singh, R. (2007).Uncovering retail shopping motives of Indian youth, Young Consumers, Vol. 8 (2), 128-38. Kivetz, R. & Simonson, I. (2002). Earning the right to indulge: Effort as a determinant of customer preferences toward frequency program rewards. Journal of Marketing Research, 39(2), 155-170. Kvale, S. (2007). Doing Interviews. London, Sage. Lehtonen,T. & Maenpaa, P. (1997). Shopping in the East Centre Mall. In P.Falk,&C. Campbell (Eds. ), The Shopping Experience(pp. 136-165). London: Sage. Levy (1959). Symbols for sale. Harvard Business Review, 117-124. Lies, M.B. & Huberman, A.M. (1994). Qualitative data analysis: An expanded servicebook. Lincoln, Y.S & Guba, E.G. (1985). Naturalistic Inquiry. Beverly Hills, CA: Sage. Malhotra, N. (2004). Marketing Research: An Applied Orientation (4th ed.). Upper Saddle River, NJ: Pearson Prentice Hall. Marlowe, D. & Crowne, D.P.(1961). Social desirability and response to perceived situational demands. Journal of Consulting Psychology, vol.25, pp. 109-115. Mattila, A.S. & Wirtz, J. (2008). The role of store environmental stimulation and social factors on impulse purchasing. Journal of Services Marketing, Vol.22 (7), 562 - 67. McKeone, D. (1995). Measuring your media profile. Gower Publishing Limited. England. Mick, D.G. & DeMoss, M., (1990). Self gifts: Phenomenological insights from four contexts. Journal of Consumer Research, Vol. 17 (3), 322-332. Miles, M.B. & Huberman. A.M. (1994). Qualitative data analysis: An expanded sourcebook. London: Sage. Muraven, M., Tice, D. & Baumeister, R. (1998). Self-control as limited resource: Regulatory depletion patterns. Journal of Personality and Social Psychology, Vol.74. Palys, T. & Atchison, C. (2008). Research Decisions. Qualitative & Quantitative Perspectives (4th ed. ), Nelson Education Ltd.
Peck, J. & Childers, T.L. (2006). If I touch it I have to have it: Individual and environmental influences on impulse purchasing. Journal of Business Research, Vol. 59 (6). Piron, F. (1991). Defining Impulse Purchasing. Advances in Consumer Research, Vol. 18, 509-14. Ramachandran,R.(1980). Urbanization and urban systems in India. Oxford University Press, India. Rook, D.W & Gardner, M.P., (1988). Effects of Impulse purchases on consumer’s affective states. Advances in Consumer Research. Vol.15 (1). Rook, D.W. & Fisher, R.J. (1995). Normative influences on impulse buying behaviour. Journal of Consumer Research. Vol.22 (3), 305-13. Rook, D.W. & Gardner, M.P. (1993). In the mood: Impulse buying's affective antecedents. Research in Consumer Behaviour, Vol. 6, 1-28. Rook, D.W. & Hoch, S.J. (1985). “Consuming impulses”. Advances in Consumer Research, Vol.12. Rook, D.W. (1987). The Buying Impulse. Journal of Consumer Research, Vol.14 (2). Sarkar,A.(2014). Brand Love in the emerging market: A qualitative investgation. Qualitative Market Research: An International Journal Vol. 17 (4). Sayre, S. (2001). Qualitative methods for marketplace research. Sage Publications. London. Sharma, E., Mathur, A. & Smith, R.B. (1997). Store environment and consumer purchase behaviour: Mediating role of consumer emotions. Psychology & Marketing, Vol. 14(4). Silvera, D.H., Lavack, A.M., Kropp, F.(2008). Impulse buying: The role of affect, social influence and well-being. Journal of Consumer Marketing, Vol. 25 (1). Strauss, A. & Corbin, J (1990). Basics of Qualitative Research. Newbury Park, CA: Sage. Strotz, Robert H. (1956), "Myopia and Inconsistency in Dynamic Utility Maximization," Review of Economic Studies, 23 (2). Sun, Wu and Yun. (2004). 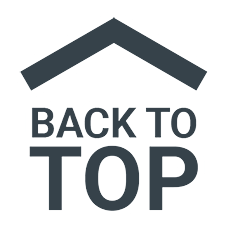 Psychological antecedents of impulsive and compulsive buying: A hierarchical perspective. Paper presented at Society for Consumer Psychology, winter conference, San Francisco, California. Retrieved from commfaculty.fullerton.edu. Tauber, E.M. (1972). Why do people shop? Journal of Marketing, Vol.36. Tendai, M & Crispen, C (2009). “In-store shopping environment and impulsive buying”. African Journal of Marketing Management. Vol.1 (4). Thompson, C.J., Locander, W.B. and Pollio, H.R. (1990), “The lived meaning of free choice: an existentialist‐phenomenological description of everyday consumer experiences of contemporary married women”, Journal of Consumer Research, Vol. 17. Tice, D., Bratslavsky, E. & Baumeister, R. (2001). Emotional distress regulation takes precedence over impulse control: If you feel bad, do it! Journal of Personality and Social Psychology, Vol.80 (1). Valdez, P. & Mehrabian, H. (1994). Effects of color on emotions. Journal of Experimental psychology: General. Vol.123 (4). Verplanken, B., Herabadi, A.G. (2001). Individual differences in impulse buying tendency: Feeling & no Thinking. European Journal of Personality. Verplanken, B., Herabadi, A.G., Perry, J.A., Silvera, D.H. (2005). Consumer style and health: the role of impulsive buying in unhealthy eating. Psychology and Health, Vol. 20, 429-41. Verplanken, B. & Sato,A.(2011). The Psychology of Impulse Buying: An Integrative Self-Regulation Approach. Journal of Consumer Policy. Vol. 34(2). Welles, G. (1986), “We're in the Habit of Impulsive Buying”. USA Today (May 21). West, C.J. (1951). Communications: Results of two years of study into impulse buying. Journal of Marketing, Vol.15. Weun, S., Jones, M.A. & Beatty, S.E. (1998). Development and validation of the impulse buying tendency scale. Psychological Reports, Vol.82. Wicklund, R.A. & Gollwizter, P.M. (1981). Symbolic Self-Completion, Attempted Influence, and Self-Deprecation. Basic and Applied Social Psychology, Vol. 2 (2). Wirtz,J., Mattila,A.D. & Tan, R.L.P. (2007). The role of desired arousal in influencing consumer’s satisfaction evaluations and in-store behaviors. International Journal of Service Industry Management, Vol.18 (1). Wood, M. (1998). Socio-economic status, delay of gratification, and impulse buying. Journal of Economic Psychology, Vol. 19 (3). Wu, P.T. & Lee, C.J. (2015). Impulse buying behaviour in cosmetic marketing activity. Total Quality Management & Business Excellence. Youn, S.H. & Faber, R.J. (2000) Impulse Buying: Its relation to personality traits and cues. Advances in Consumer Research.